The Luckiamute River as seen from the Buena Vista Road bridge. As you can see, there’s plenty of water in the Luckiamute River, so this spring would be a great time to float down this little stream — or paddle up it — in a kayak or canoe. 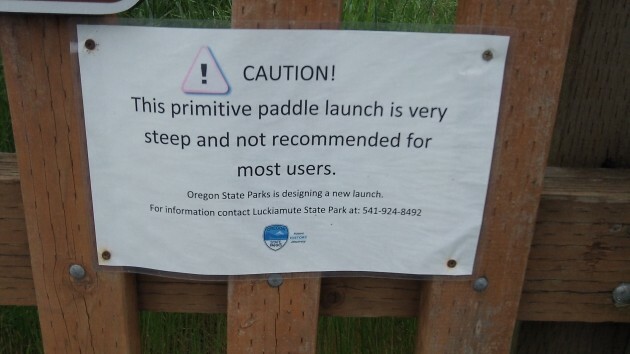 It would be, that is, if the state parks department had built the paddlers’ access point that has been planned for years. 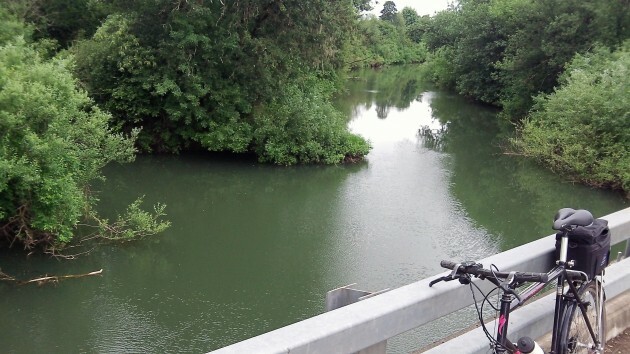 The access has been part of the plans for the Luckiamute State Natural Area from the start. In May 2012, the parks department told me it would be built that summer and spring. In June 2013, I was told the plans were on track and construction would take place later that year. The story was the same when I again asked about progress, in June 2014. A year ago, in May 2015, the official in charge of the natural area told me flaws had been discovered in the design, which called for a gangway and a floating dock, because the float would have to be removed each winter. The idea then was to build a “cantilevered ramp,” and the intention was to build it during the 2015-17 biennium. Now a new manager is in charge of the Willamette Mission Management Unit, of which the Luckiamute area is a part. He’s Kevin Strandberg, and he fielded my annual question this year. He didn’t elaborate on what those options are. But he added, “Since we are changing the system design we will need to go through the joint application process with the ACOE, NMFS, DSL etc.” He’s referring to the Army Corps of Engineers, the National Marine Fisheries Service, the Department of State Lands. The “etc.” implies there may be more permitting hoops to clear. Strandberg concludes: “Currently the plan is to redesign this project in the fall, submit for permits this winter and construct late summer/early fall 2017.” That would mean we could use the launch in spring 2018. Unless there are further delays, which the history of this project suggests are almost guaranteed. You can get a boat in there now, but as the sign warns, it’s not recommended.